40 vs. 20g PWO Protein Sign. Boost Recovery After Muscle Damage / High Dietary Nitrate = No Supplement Benefits? High nitrate without beetroot? Not a problem, check out Jonvik's complete list of high nitrate foods in Table 1. Not every study is worth its own SuppVersity article... that's not because it wasn't well done, or boring, though. Sometimes there's just not that much to discuss beyond the mere results. Today that's the case for two studies by Doering et al. and Jonvik et al. that are supposed to be published in one of the upcoming issues of the International Journal of Sport Nutrition and Exercise Metabolism. A journal from which I also took five additional studies which make a guest appearance in the bottom line of today's installment of the SuppVersity Short News. Higher post-workout protein intake may have hitherto overlooked benefits on recovery after exercise-induced muscle (Doering 2016) -- Even though the observation that increasing the post-workout protein intake from ~30 to ~40 grams (consumed in three bolus feedings at two-hour intervals post exercise) "provided moderate to large beneficial effects on recovery that may be meaningful following EIMD [exercise-induced muscle damage]" (Doering 2017). Is unquestionably one of those results that are worth mentioning in the SuppVersity Short News - the "just the gist" version of regular SuppVersity Articles. 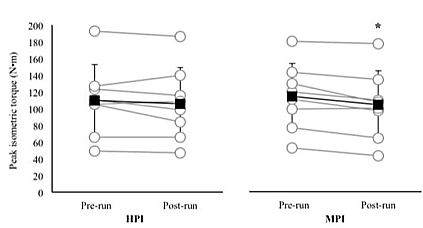 Figure 1: The high protein dose (0.6g/kg in 6h post-workout) provided a "moderate beneficial" effect on peak isometric force recovery; with only -3.6% the HPI treatment helped to sign. lower reduction in peak isometric force which amounted to -8.6% with the MPI aka medium (3g/kg) protein treatment (Doering 2017). And that's in spite of the fact that the post-cycling test showed no inter-group difference between the medium (MPI = 0.3g/kg body weight) and high (HPI = 0.6g/kg) protein group, (HPI=2395±297 s vs. MPI=2369±278 s; d =0.09) and because the HPI consumption provided a moderate beneficial effect (d=0.66) on the loss of afternoon peak isometric contractile force (-3.6%, d=0.09 compared to the MPI -8.6%, d=0.24), as well as a large beneficial effect (d=0.83) on the fatigue over the eight-hour recovery. For resistance trainees who will always leave the gym with a certain degree of muscle damage, the hastened peak force recovery is obviously important... whether a difference in the 6h post recovery actually matters, on the other hand, may be debatable (it's unlikely that you'd still measure a difference after 24h, but not impossible). High dietary nitrate intake - Could it explain why nitrate supplements don't work for highly-trained / professional athletes? (Jonvik 2016) -- While it is difficult to answer this question based on a recent study by Jonvik, Kristin L., et al. their data from 553 athletes (n=226 females: 172±8 cm, 65±9 kg, BMI 22±2 kg/m2; n=327 males: 181±11 cm, 72±14 kg, BMI 22±3 kg/m2) from strength (n=71), team- (n=242) or endurance (n=240) sports indicates that the mean nitrate intake (ca. 70-180 mg/d) of these Dutch athletes is not significantly higher than that of the average European (31–185 mg/d | Gangolli et al. 1994) or US (~40-100mg/day) citizen. 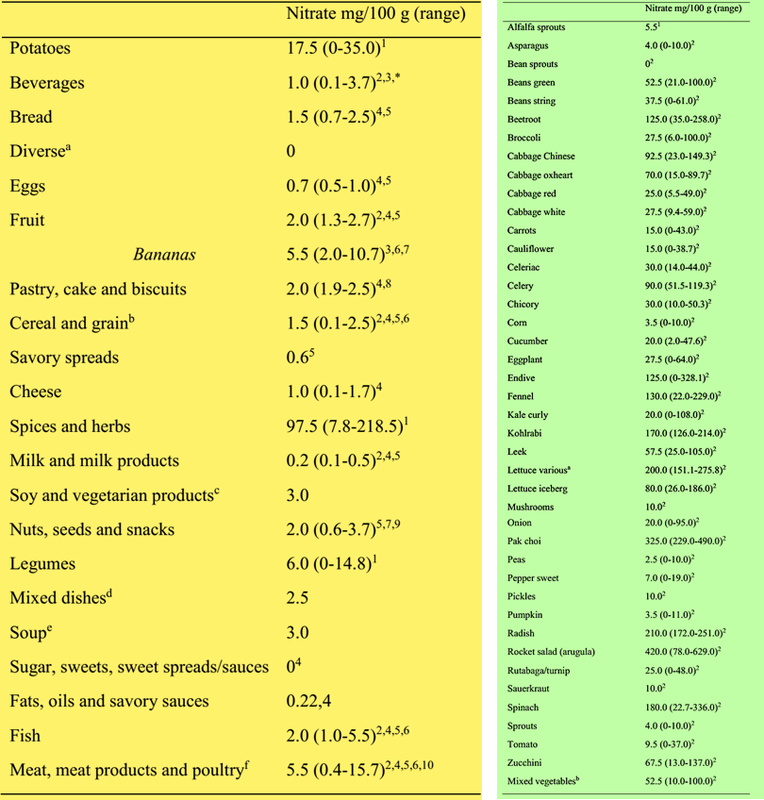 Figure 2: If you see that the female (A) and (B) male athletes got the lion's share of nitrate from vegetable sources and take a look at their individual breakdown in (C), you won't be surprised that people on the DASH diet get up to >1200mg+ nitrate/day. In those people, extra nitrate may in fact simply fizzle out. Accordingly, I have to go back on my previously voiced hypothesis that a high baseline nitrate intake could explain why most studies in trained athletes such as most recently Nyakayiru et al. (2016), Callahan et al. (2016), and Lowings et al. (2017) did not find significant performance benefits, while studies in exercise noobs tend to find benefits. Rather than a difference in baseline intake, it's thus probably a difference in terms of the significance of the increase in blood flow on the performance of trained vs. untrained muscles. Table 1: Tabular overview of nitrate content according to food-group (left) and of various vegetables (right). One thing I should mention, though, is that, without testing the nitrate intake of the individuals in a given study, directly, all the above has to remain educated guesswork. Salt reduction is for "hard-sweating" athletes not; and another new study actually shows that even athletes who consume a meal after workouts can speed up rehydration if they consume a 50 mmol/L NaCl solution (Evans 2017) - I guess salting your food to taste may yet be enough for most of you | learn more. Things that don't work: Often-times scientists exaggerate the practical relevance of their results in the conclusions to their studies. This goes so far that, for a layman, sometimes even a null-result appears to support the purchase of a given supplement. One of the reasons this happens is that no one wants to read studies with null results... no one, but SuppVersity readers, I guess, because you understand that it's just as important to know what doesn't work as it is to know what does work. To cut a long story short: Here's what soon-to-be-published studies from the International Journal of Sport Nutrition and Exercise Metabolism have to tell you about "things that don't work". One of these things are the nitrate and beetroot supplements in trained or elite athletes on land (Callahan 2016, Nyakayiru 2016) and in the water (Lowings 2017 | see discussion about nitrate intakes above). Likewise on this list of barrel-bursts is coconut water, which does, probably due to its low sodium/potassium ratio, not improve markers of hydration or exercise performance in a recent study by Peart, et al (2016) | Comment on Facebook! Evans, Gethin H., et al. "A Sodium Drink Enhances Fluid Retention During 3 Hours of Post-Exercise Recovery When Ingested With a Standard Meal." International Journal of Sport Nutrition and Exercise Metabolism (2017): 1-21. Doering, Thomas M., et al. "The Effect of Higher Than Recommended Protein Feedings Post-Exercise on Recovery Following Downhill Running in Masters Triathletes." International journal of sport nutrition and exercise metabolism (2016): 1-17. Gangolli, Sharat D., et al. "Nitrate, nitrite and N-nitroso compounds." European Journal of Pharmacology: Environmental Toxicology and Pharmacology 292.1 (1994): 1-38. Jonvik, Kristin L., et al. 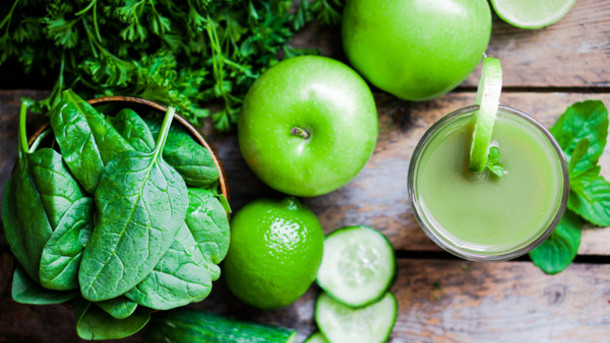 "Habitual Dietary Nitrate Intake in Highly Trained Athletes." International Journal of Sport Nutrition and Exercise Metabolism (2016): 1-25. Lowings, Sam, et al. "Effect of Dietary Nitrate Supplementation on Swimming Performance in Trained Swimmers." International Journal of Sport Nutrition and Exercise Metabolism (2017): 1-24. Mensinga, Tjeert T., Gerrit JA Speijers, and Jan Meulenbelt. 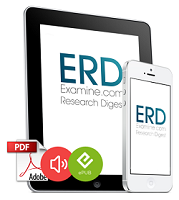 "Health implications of exposure to environmental nitrogenous compounds." Toxicological reviews 22.1 (2003): 41-51. Nyakayiru, Jean, et al. "No Effect of Acute and 6-Day Nitrate Supplementation on VO2 and Time-Trial Performance in Highly-Trained Cyclists." International Journal of Sport Nutrition and Exercise Metabolism (2016): 1-25. Peart, Daniel J., Andy Hensby, and Matthew P. Shaw. "Coconut water does not improve markers of hydration during sub-maximal exercise and performance in a subsequent time trial compared to water alone." International Journal of Sport Nutrition and Exercise Metabolism (2016): 1-19.